Happy 2018, everyone! I'm not much of a New Year's resolution girl, but I do believe in optimistically moving forward - feeling gratitude for the wonderful people in my life, and holding a deep appreciation for everything we have been through to get us to this point. I am so happy that my first post of this new year is a Tulip Tale! I was recently connected with another Mom named Julie, and our name is not the only thing we have in common. 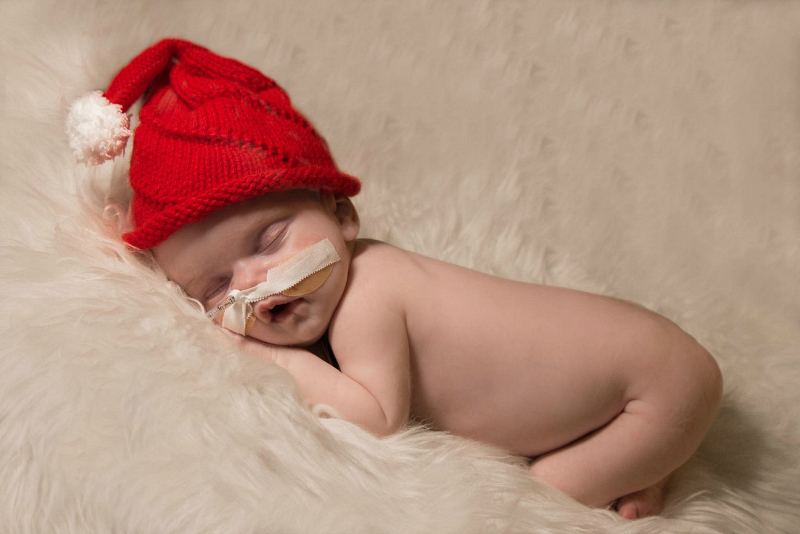 When we were first introduced, Julie was spending some time at the Janeway with her sweet baby girl. Julie has been very open in sharing her daughter's story, and I am thrilled that she was willing to share it here on my blog as well. Julie and her family have been through a lot this past year, but she is strong and she has a beautiful, positive attitude. Sometimes, life really tests us, but there is a lot to be said for acknowledging our grief and pain and moving forward with courage. I believe that sharing our stories is one of the most powerful ways to heal, and I thank you, Julie, for sharing your story here. 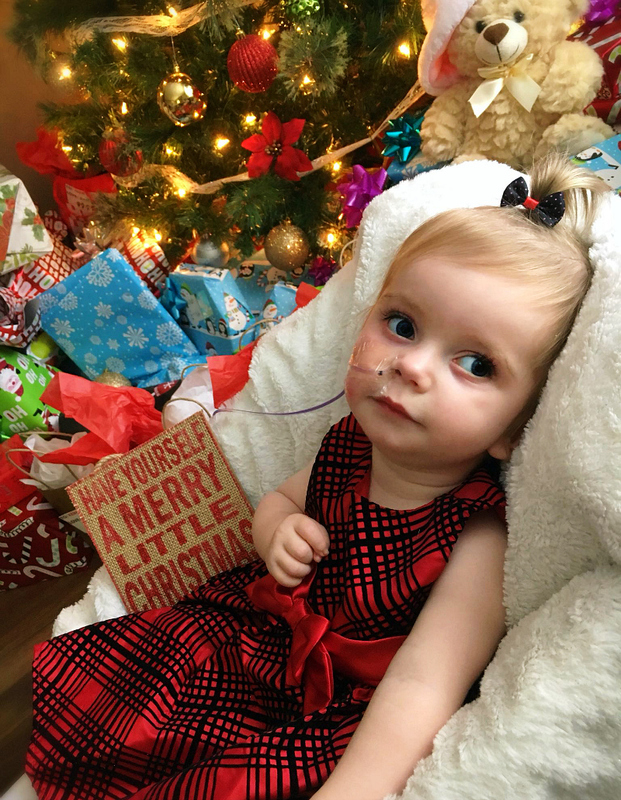 Hi, I’m Julie Seaward, and I’m going to tell you the story of my daughter, Jade - our 'Christmas Miracle' of 2016. My boyfriend, Kenny and I were excited to start our family. We already had names picked out! In February of 2016, we got our positive pregnancy test! Everyone was so excited. My family, coworkers and friends were so supportive. They all came to the gatherings, and when we found out we where having a little princess, all of our friends showered us with gifts and love. On November 7th, 2016, at 7:07 pm, Jade Lillian Williams was born! The emotions that came over me were so powerful. I finally got to meet this little person who I'd felt kicking inside me for the past several months! It was instant love. Before leaving the hospital, a nurse did a full check-up and said that Jade was fine.. but that wasn't the case. When Jade was just nine days old, I began to notice that she wasn't acting right. She was sleeping all day and not waking up to eat. I followed my motherly instincts and brought her back to the hospital where she was born, but they shunned us away, saying, "She's fine." Two days later, she started having seizures. It was so scary. We rushed to the car to get to the hospital. Where we live, we are about an hour and a half away from the Janeway Children's Hospital. The closest hospital to us is a 45 minute drive away, so we choose the closer hospital for her sake. When we got there, just before I laid her on the bed, she coded in my arms. She went blue. This was the hardest thing I have ever had to go through. And then, the realization that if we had decided to go the the Janeway, we would have lost her half way there. The emergency crew did everything they could to keep her alive. 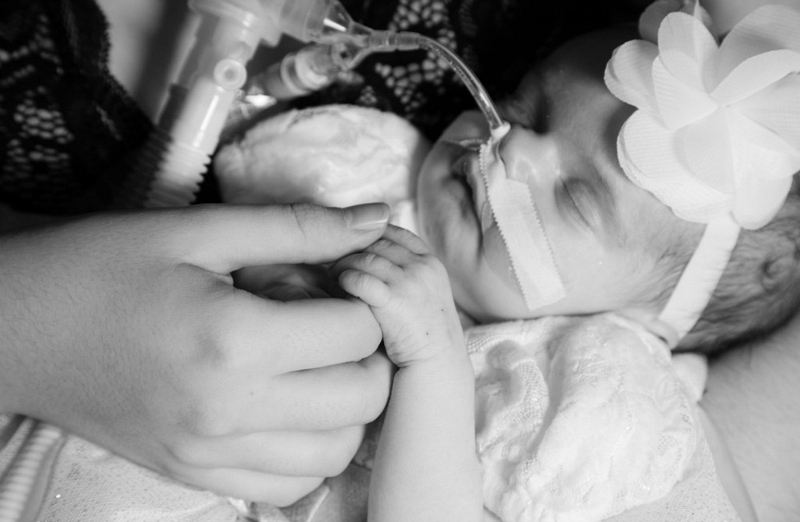 She was barely hanging on, and no one knew why she was so sick. They called the air ambulance to come get her, but we had to wait 12 hours because of the weather. During that time, we blessed our child, and just hoped that she would pull through. Finally, the medevac team came and took Jade to the Janeway, and I was right behind them. They told me I wouldn’t be able to see her right away, as they needed to do some tests, and they warned me that when I did see her, it wouldn't be a happy sight. When we were finally able to see our daughter again, as we walked into the room, my heart broke. Every inch of her was covered with tubes, IVs, monitors, etc. I wasn’t even allowed to hold her. During this time, we still had no answers. It took days for the test results to come back. Then one morning we were called for a meeting. The results where in. Our whole family was there in a room with 8 doctors. They told us that Jade had Meningitis - an infection of the membranes covering the brain and spinal cord. Jade had contracted a rare form of the disease called Haemophilus Influenzae Bacterial Meningitis. The Neurologist said he hadn’t seen this kind of Meningitis for over twenty years, and that child had died before they could do much testing to learn anything from it. Jade was writing her own story. They were documenting everything and sending her samples all across Canada. The infection was building up quickly in Jade's brain. They hooked her up to different antibiotics, hoping they would slow the spread of the infection, and eventually stop the damage it was causing. It took a couple of days until they finally found the right antibiotic to help her. On November 18th, we got called again. This time it sounded very serious. I was so scared, I didn’t want to meet with the doctors. I didn’t want to hear the words I thought they where going to say, but I had to go, and my family was there as my support. This time, as we all walked in, I saw 12 doctors and nurses in the room and I froze. I knew it wasn’t good. As I sat down, they struggled to talk, knowing the news was going to be difficult to say. 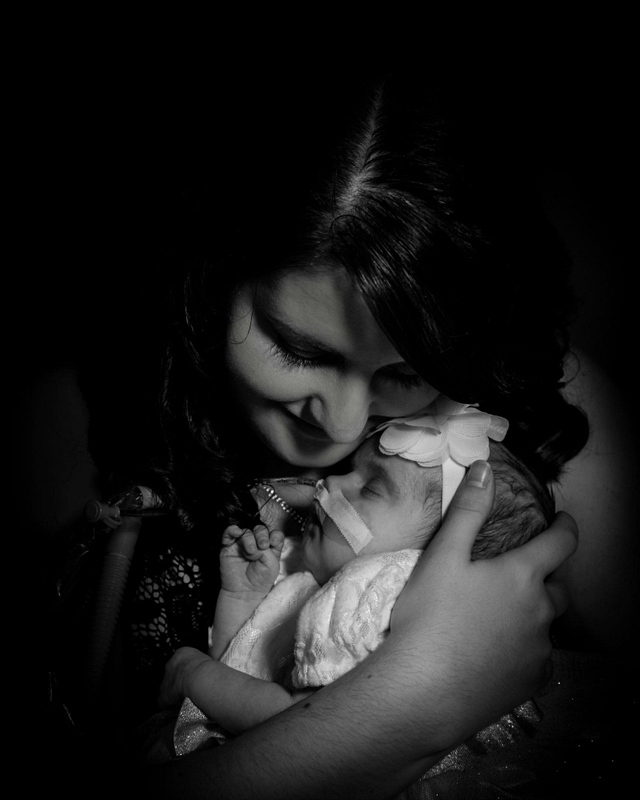 Finally, the Neurologist told me that when Jade was just 9 days old, when she coded in my arms, it was from the Meningitis, and this caused her to have a catastrophic stroke, taking out half of Jade's brain. He then said that they couldn’t get the infection under control fast enough, and the Meningitis had destroyed the other half of her brain. Jade only has 5-10% brain function left. Everyone in the room was speechless. At the time, I didn’t understand what that would mean for my daughter until he explained that she was likely not going to make it. My world crashed down around me. I didn’t eat, didn't sleep or talk for days. I lashed out at people who loved me. I just didn’t understand why this was happening to me. Why Jade?! All I could do was hold my daughter as I cried. Weeks went by and soon it was Christmas time. The doctor said, "Come with me please. We have bad news. Do you want to sign a DNR?" Our hearts broke. I went in and held my little girl and told her it was ok to let go. She was very weak. Kenny and I didn’t want Jade to suffer, so we did sign the DNR. We wanted Jade to fly back home with the Christmas angels, if that was what she wanted. 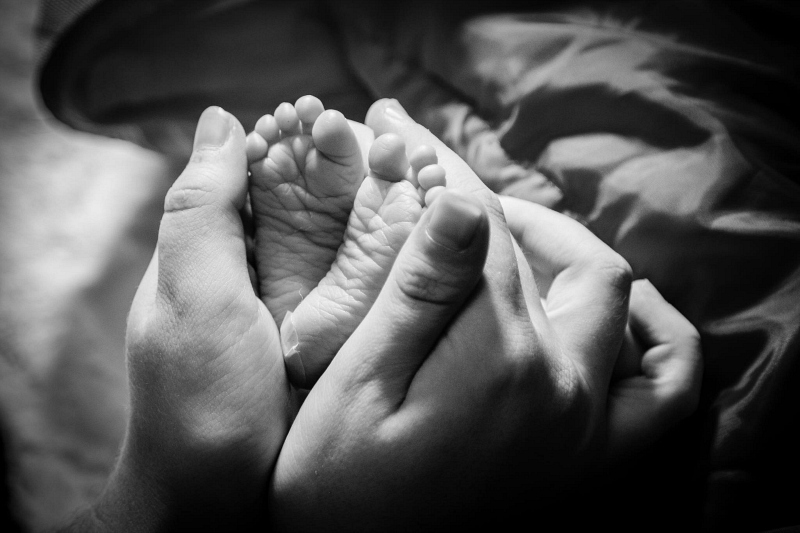 "For one so small, you seem so strong. My arms will hold you, keep you safe and warm. This bond between us can’t be broken. I will be here, don’t you cry." After about 5 minutes, we thought she was gone, but Jade grabbed my finger with so much strength and love - she was telling me she wasn’t ready to go. 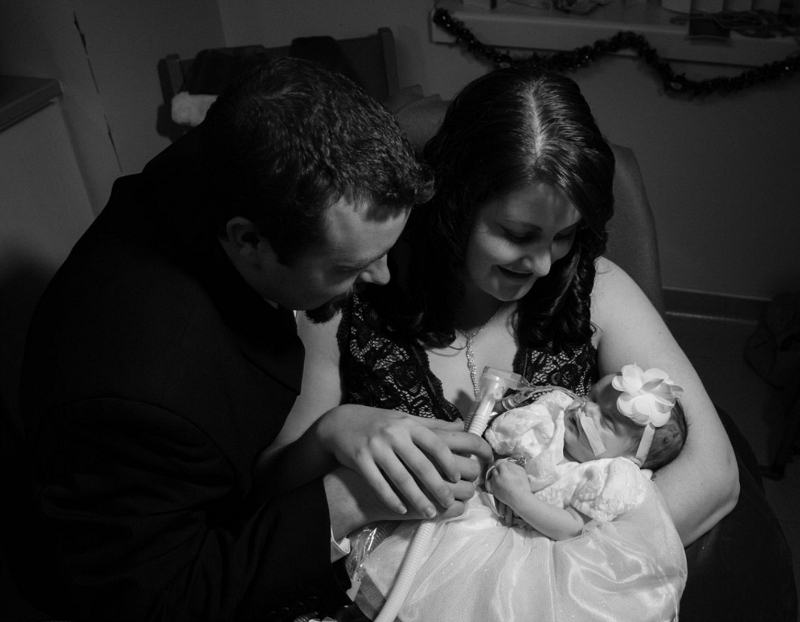 Kenny and I held our fighting baby girl for 48 hours, and she was breathing on her own! The doctors couldn’t believe it. Right then and there, we took off the DNR order. If Jade wanted to fight to stay with us, I would do everything in my power to help her do so. It was a Christmas miracle! Jade was alive to see her first Christmas! 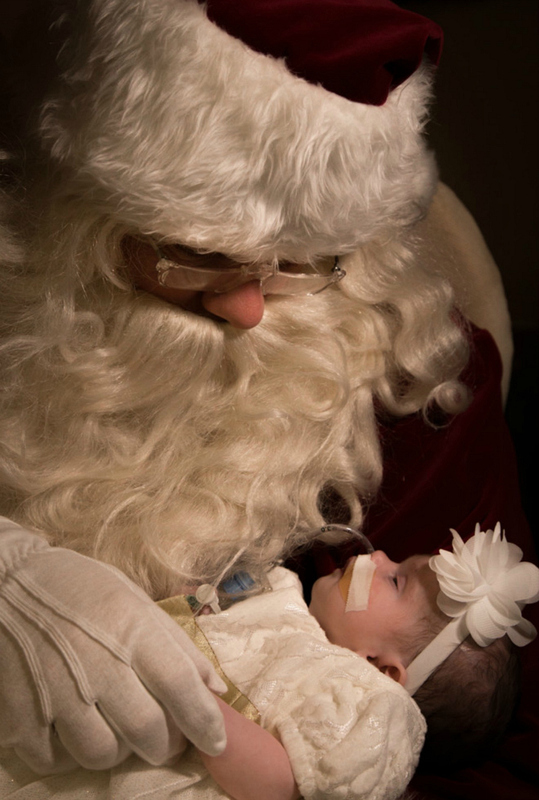 The NICU announced her as 2016's miracle baby. On January 12th, 2017, we were sent home with our precious baby girl. We know that Jade's life will be full of struggles, as it has been for the past year. She is diagnosed with cerebral palsy, she has a visual impairment and has many seizures a day. She can no longer eat by mouth. She currently has an NG tube, and will go for surgery at the end of January to have a G-tube inserted. We don't know what other surgeries she might have to face in the future, but in saying all of that, my daughter is amazing. She is a wonderful, happy baby who can see, hear, smile and laugh! With such little brain function, we don’t understand how it’s possible, but she understands certain things and she recognizes my voice and responds to touch, sounds and colours. The first time Jade laughed, our whole house was in tears. It was a deep belly laugh (she was laughing at her Poppy whistling)! So here we are, one year later, and Jade just spent her first Christmas at home! Jade may always have challenges, but she is here, and she is happy, and she's not going down without a fight. This child touches everyone around her and she is teaching me so much about life and how people often take the small things for granted. To someone else, a smile may be no big deal, but I have learned to appreciate everything my child can do. The human brain is a magical thing.